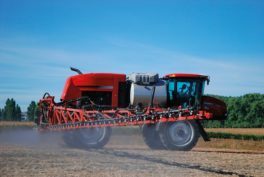 On March 2016, Six environmental NGOs (Global 2000, PAN Europe, PAN UK, Generations Futures, Nature et Progrès Belgique and Wemove.EU) from five European countries have submitted formal complaint against those responsible for the assessment of glyphosate in Europe, for denying the cancer causing effects of glyphosate and getting its European market license renewed. According to SumOfUs, some days ago, the EU refused to give Monstanto´s cancer-causing ingredient – glyphosate – the green light. It´s delayed the decision 18 months while glyphosate is re-evaluated. Thousand of SumofUs members donated to pay for a legal process which triggered an investigastion into Monsanto´s dodgy and dangerous practices. Hundred of thousand of people and a big alliance of environmental groups across Europe to beat Monsanto on glyphosate.